The Manikarnika of Bollywood, Kangana Ranaut is here to slay! People have known her over the years as an established actress, but her fashion game is at another level and totally unmissable! 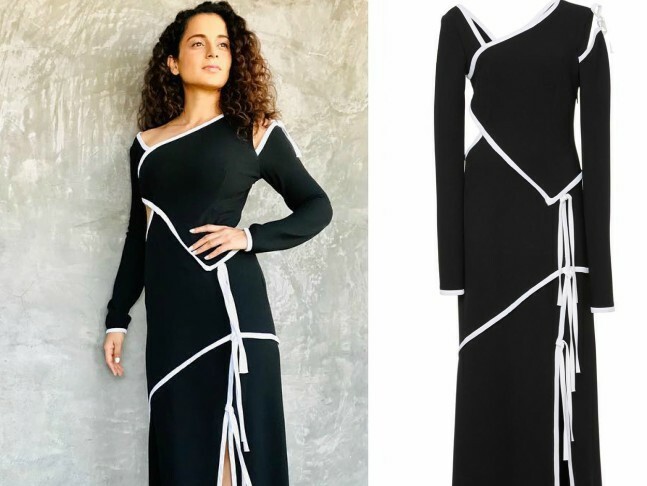 Styled by Ami Patel, Kangana sported a black and white classic from Prabal Gurung's label. The actress carried a minimalistic yet rustic makeup, courtesy Albert and those wild curls by Haseena Shaikh were a delight. Keeping it minimal yet classy...we love it! Truly, the Queen of Bollywood!